Representatives said the staff reductions are hopefully "temporary". Vancouver-based independent studio Slant Six Games is on the ropes. 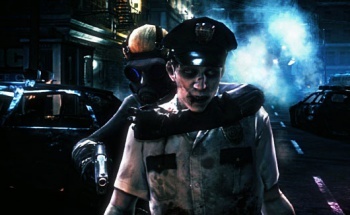 This year's Operation Raccoon City wasn't really very good, but it sold well enough with 1.7 million units shipped. The previous offerings from Slant Six were in the SOCOM series for the PSP, and SOCOM: Confrontation for the PS3, all of which didn't impress critics very much. As a result of not being able to secure new contracts, Slant Six Games said it was reducing its staff by nearly 25 percent, but on a temporary basis. With luck, the studio can get more work and hire back the affected workers. "Regretfully, we can confirm that there have been some temporary layoffs at our studio," the statement read. "We must stress that these are temporary layoffs, which means we are working very hard on new business prospects so we can reinstate every single person affected. As an independent and close-knit studio it is a very difficult but necessary business measure due to the current project cycle demands." The 26 individuals laid off were given the choice to retain benefits for 13 weeks, or to take a severance package and walk away. Slant Six reported that most of those affected opted the former, betting on the chance the studio would secure another videogame project soon. The 70 employees who remain continue to work on the two projects still ongoing there: "a collaborative game venture with a major publisher" and a new IP called Strata Scavenger, which is a self-published post-apocalyptic flight simulator. It's always tough to hear about people going without work. Here's hoping the studio can indeed hire back the employees who lost their jobs.